Come and visit us near to Stewart Park. We'll have a warm welcome ready for you and the family, and a hearty meal too - and if you want to stay over we're next to a Premier Inn. 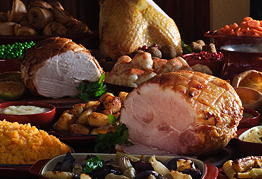 The toby carvery is a national chain of restaurants serving a range of cooked carvery style meats, veg and potatoes. The Middlesbrough branch is no different and offers a nice relaxed atmosphere ideal for families. The carvery is not just for Sunday lunch either! It's served throughout the week with good specials and deals available during the day and on weekday evenings. Well worth a visit for home cooked style food - without the washing up! Free parking, childrens menu, specials, hotel.